The Ebola virus can be spread through infected fluids, wildlife, and medical equipment. Fear can be spread through the media. The 2014 outbreak of Ebola killed thousands of people in west Africa. Though the risk of contracting the virus outside of a handful of African countries was astronomically low, the world nonetheless entered into an fear frenzy that permeated countless facets of daily life. This atmosphere of fear was, in part, cultivated and spread through modern media outlets like television, news networks, and the internet. 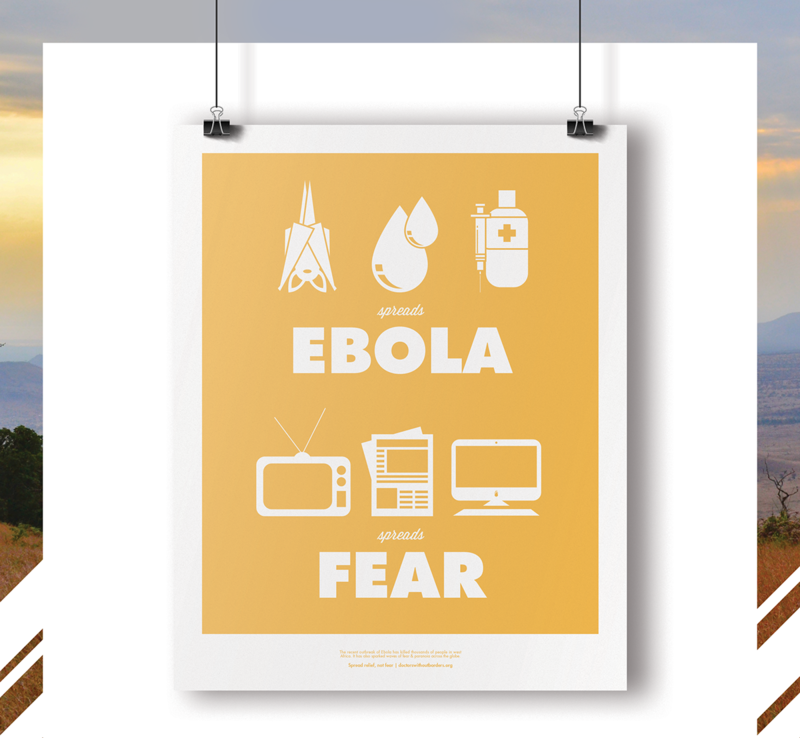 This screenprinted poster is part of the Posters Against Ebola collective, which gave designers, artists, and activists a platform to "express ideas, solutions, and opinions about this disease and the human reaction to it." Poster procedes are donated to Doctors Without Borders.